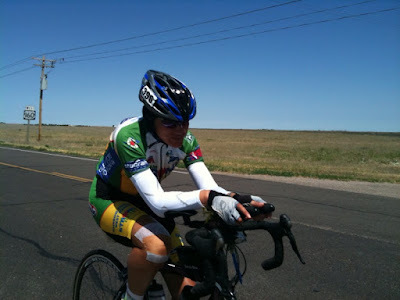 2009 Team Strong Heart 4-men team member, Brett Walker (also a 2007 RAAM solo finisher) has decided to represent Team Strong Heart 2011 in the RAAM solo division to fundraise for Camp Odayin in MN as well as a local charity of his home state New Hempshire. 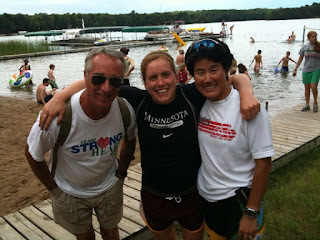 The Stronghearts from MN and all over the country and world will root for you!!! Best wishes to your preparation. Team Strong Heart members, families and supporters are invited to visit Camp Odayin (Crosslake, MN) at their annual Guest Day on August 12, 2010. 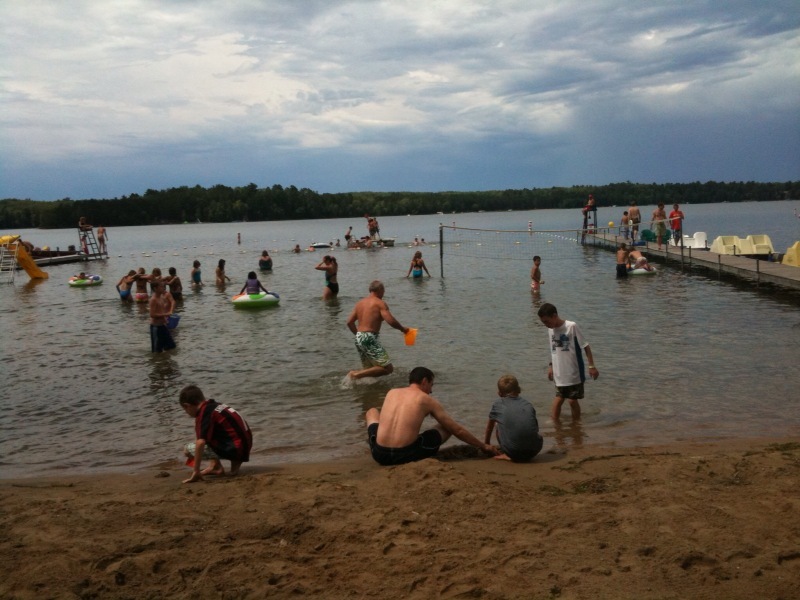 Camp Odayin (also known as "Camp Heart") has a summer resident camp hosted at Camp Knutson on Crosslake, MN. Kids with special hearts (as camp kids called it) from countries such as U.S., Canada, and Germany have made their summer home here. Summer water sports including swimming, playing volleyball and games, sliding, boating, etc. are a huge part of the camp afternoon activities. 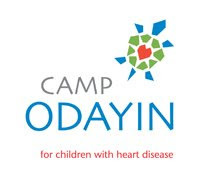 At Camp Odayin, kids are well taken care of by camp counselors, a group of volunteers including medical doctors, nurses, and other medical specialists, and the Camp is equipped with donated medical supplies and with a helicopter launching pad on-site. 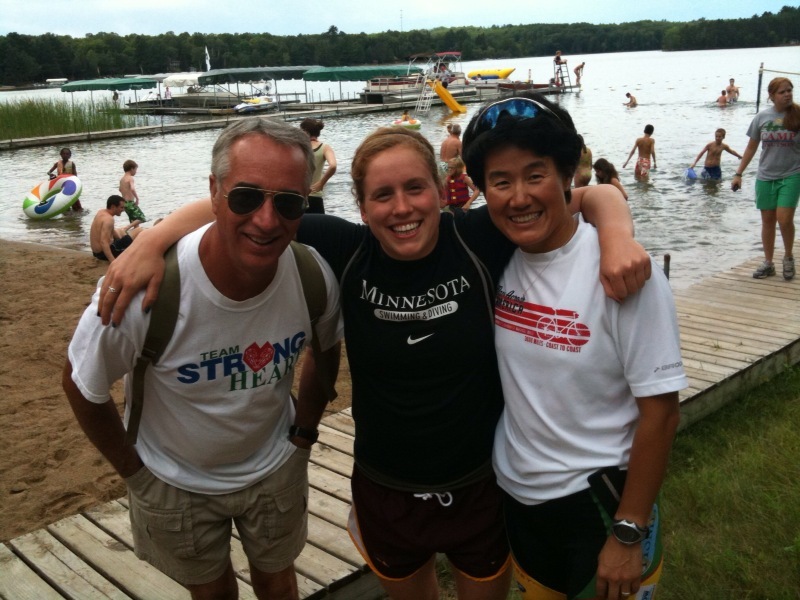 Members of the Team Strong Heart (TSH) including Jackie Torborg (2010), Bill Beckman (2008), Amy Xu (2010) and Yiping Xu (Amy's father visiting from China) attended the Camp this year. On behalf of Silent Sports Foundation and Team Strong Heart 2010 supporters, Amy presented a donation check, a children's book on Race Across America, and a Team Strong Heart t-shirt to Camp Odayin's President and CEO, Sara Meslow. Each of the camp guests also received a souvenir from Camp Odayin. 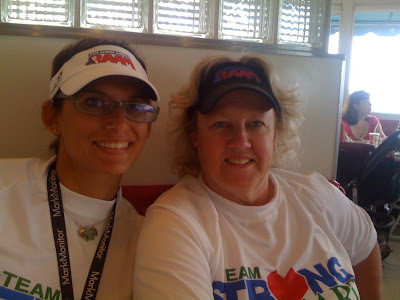 Team Strong Heart 2010-2011 will be in its 5th year in friendship with and carrying a charitable mission for Camp Odayin (Camp Heart's 10th anniversary in summer of 2011). 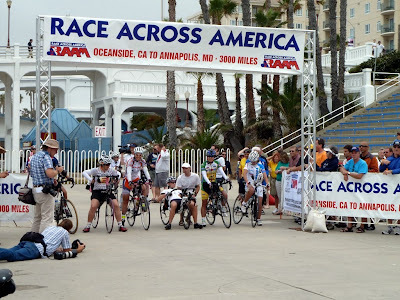 Though Race Across America is as epic as it has been known for ("the toughest race in the world"), every Team Strong Heart knows that nothing can compare with what each Camp Heart kid has to go through in their daily lives. 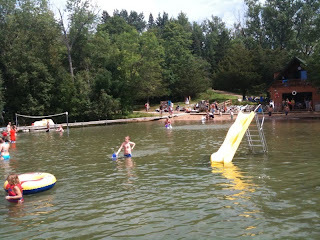 The kids appreciate all the fun time and memories in a very special summer week. Amy Xu and Team Strong Heart would like give a very heartfelt THANK YOU to all of the people and sponsors who generously supported Team Strong Heart. 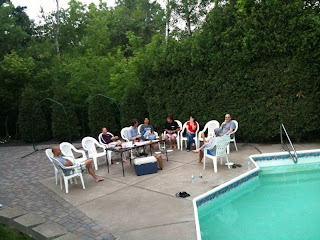 This past Saturday (6/26) was the Welcome Home/TSH Raffle party hosted by Trailhead Cycling in Champlin, MN. Amy shared many stories of her RAAM experience. Thank you again to all and congratulations to all of the raffle winners! 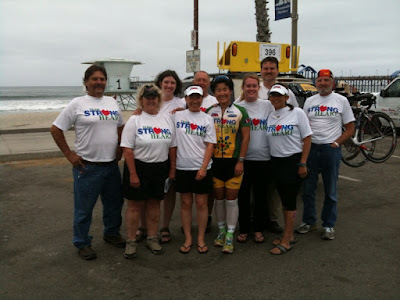 Trailhead Cycling will once again host a welcome home gathering for Team Strong Heart/Amy Xu this Saturday (June 26). 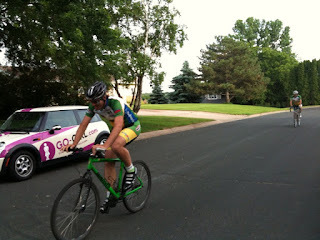 Place: Trailhead Cycling - Hwy 169 & 114th Ave in Champlin. 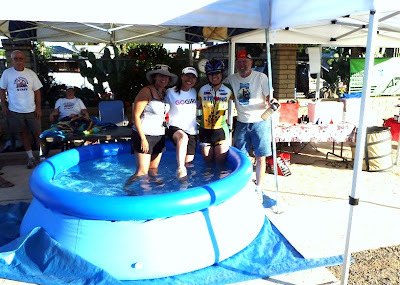 Come welcome Amy home and hear all about her Solo RAAM experience! 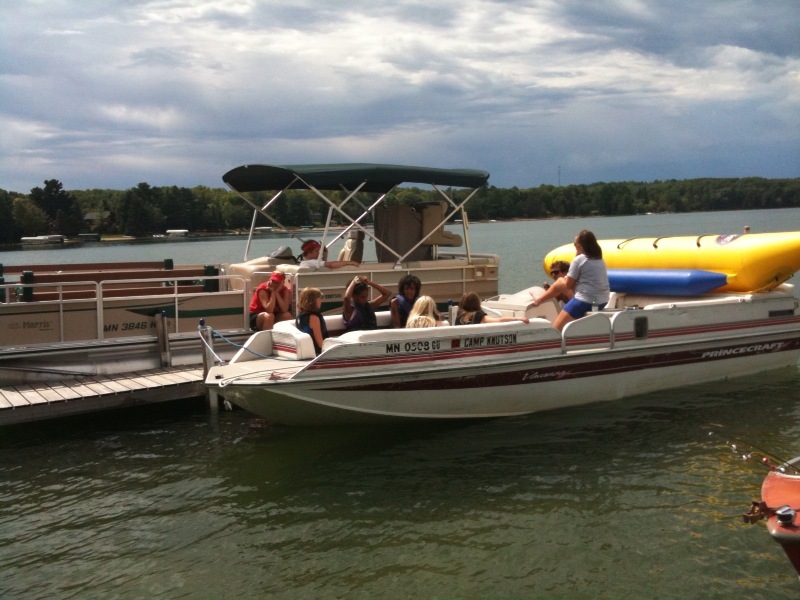 3:00PM-CDT: After waking, Amy meet with her crew,. The data was laid out as to what they needed to accomplish in order to finish in Annapolis, Maryland before the final time cut-off. 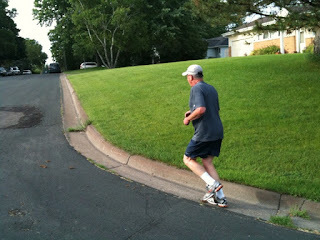 With very little time margin and a very large workload ahead, Amy decided that she WAS going to continue to race. At approximately 3:00pm she was once again on the road! Very quickly the reality of the previous 8+ days of effort hit Amy. 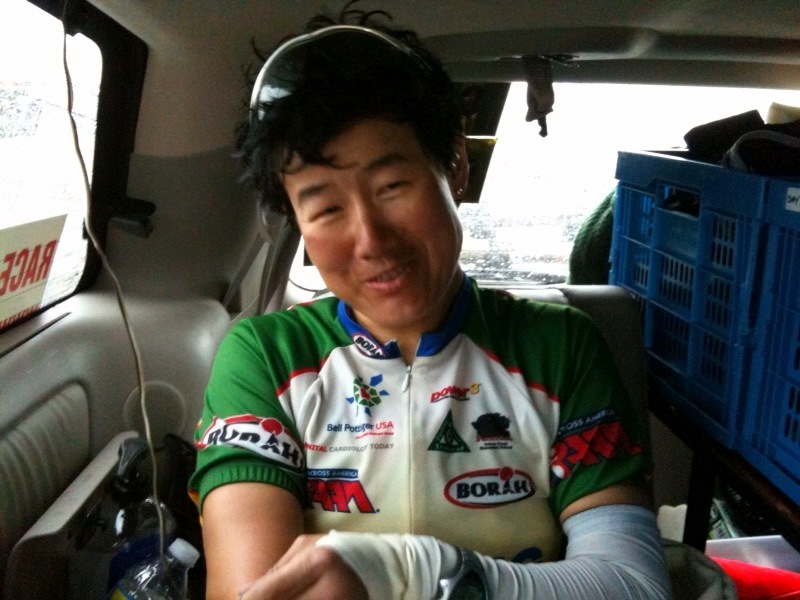 Fatigue and complications from her previous efforts were just too much to continue riding safely. Just as quickly as Amy was on the bike, she was off again and her decision to continue was reversed. I have since talked to Amy on the phone. Her spirits were very good, she feels good about her decision to stop. She wanted to express her appreciation to her crew, Team Strong Heart, the kids of Camp Odayin (and the kids of Mr. Beckman's class!) and all of the supporters and sponsors. 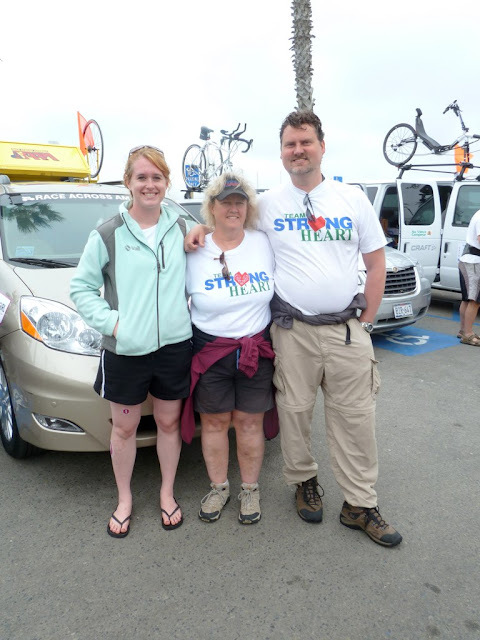 Thank You from Amy, and thank you from Team Strong Heart for following along! 12:00PM-CDT: Amy and the Team Strong Heart crew have learned that they have NOT been DNF'd by RAAM and will be allowed to continue. However, she and her crew have worked very hard to make it to the Mississippi and everyone is very fatigued. She is currently sleeping and when she wakes the choice to go on or not is all hers. Stay tuned! 7:47AM-CDT: Amy has arrived at TS#34 at the Mississippi River in Missouri. 72F, thunderstorm, east wind at 6mph, dew point 70F. 2041 miles raced in 8 days, 17 hours, 47 minutes. INCREDIBLE! 7:35AM-CDT: Report from Amy's crew - Within minutes Amy will be reaching the Mississippi and TS#35. She is currently riding in pouring rain and 71F. She has ridden through the night and is absolutely out of gas. She has pushed hard to reach the Mississippi because, although she exhausted, stopping any sooner would have meant the race was over for certain. 6:45AM-CDT: Still no word on TS#35 at the Mississippi. TSH will fall short of the predetermined time cut-off but it's going to be very close. Hopes are that by coming in so close to the cut-off that RAAM might grant an extension and allow Amy & Team Strong Heart to continue. Stand by to see what happens! 12:55AM-CDT: Amy passes through TS#34 in Washington, MO. 72F, calm, dew point 68F. Pressing on to the Mississippi! 4:55PM-CDT: Amy has now reached TS#33 in Jefferson City. It's still hot & humid at 87F with a dew point of 62F. Winds are east at 7mph. Things have improved a bit since earlier. Amy's crew is has been icing her down and getting her feed. Her neck is now very sore and they are treating that as best they can. Everyone is still feeling optimistic about making it through the time cut-off at the Mississippi. Nobody is ready to quit! Now for a flashback. This is from 2008, the last time Amy was at this spot on the course! 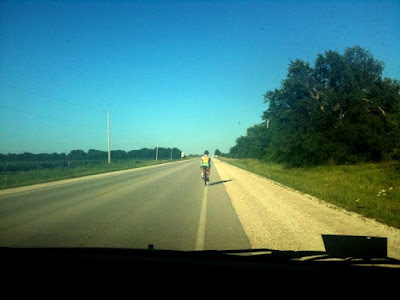 1:45PM-CDT: Crew update - Amy is still on her bike but it sounds like the many days of riding combined with hot, humid weather, nasty traffic, and the mounting time cut-off pressure is making it a very tough day for Amy and the Team Strong Heart Crew. They are currently under as much pressure as they have faced so far. The coming hours will tell if the time cut-off is achievable or not. Hang in there Amy! 12:12PM-CDT: Amy has reached TS#32 in Camdenton, MO. 82F, scattered clouds, 68F dew point, south winds at 5mph. Next is the Missouri state capitol Jefferson City TS#33. 6:54AM-CDT: Just saw a comment on FB from one of Amy's crew. "Leaving Weaubleau, Missouri and we are getting Amy to the Mississippi by 5am tomorrow!!" The Mississippi is the next time cut-off for the women soloists. Amy has to be there no later than 5AM-EDT (4AM-CDT). She's got 253 miles to go, it's going to be a challenging day! 4:30AM-CDT: Amy has gone through to TS#31 in Weaubleau, MO. She had a huge day yesterday (and into today) riding over 300 miles! Reports are she did 25 1/2 hours on the bike. At 4:30am in Weaubleau it was 68F with a 68F dew point, so it was still 100% humidity. Wind was calm. 11:59PM-CDT: Thank you everyone for your kind comments on this blog and the TSH Facebook page. Amy is seeing all of your comments and it's really helping her stay motivated! Keep the encouragement coming as she chases the next time cut-off at the Mississippi! Together we can help push her through!! GO Amy! 9:10PM-CDT: The last Time Station in Kansas has been reached. Fort Scott, TS#30! 77F, clear & calm and even more humid yet with a 77F dew point! YUK! 100% humidity!! On to Missouri next, looking for the Mississippi! 8:45PM-CDT: Some photos just came in! 4:36PM-CDT: Amy has reached TS#29 in Yates Center, KS. It was 82F, winds WSW winds at 10mph. The dew point is still a sticky 67F. At least shes got a bit of a tail-wind! 11:54AM-CDT: Amy has made it through TS#28 in El Dorado, KS. 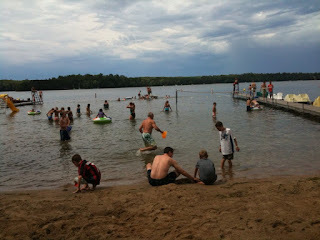 El Dorado was 80F, mostly cloudy, with WNW winds at 5mph. The humidity is also starting to climb. The current dew point was a tropical 67F. 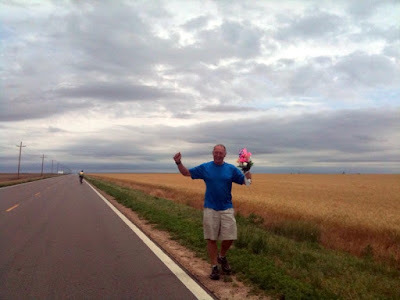 Not a lot of Kansas left and Amy has also crossed the half-way point. 1600 miles raced so far! 9:17AM-CDT: Amy has passed through TS#27 in Maize, KS. 73F, mostly cloudy, SW winds at 9mph. 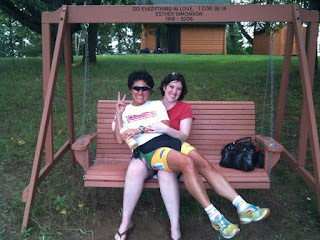 Michelle checked in this morning, To talk about yesterday, Amy had a big day riding 270 miles! She finished the day very tired. 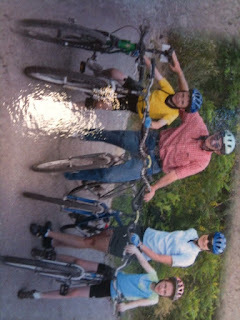 Amy has even started to experience some hallucinations that RAAM soloists report. 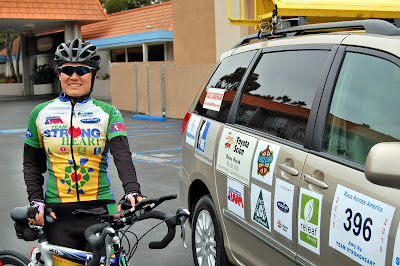 After a sleep break, food , and therapeutic care she is back on the road and doing ok. The plan today is to get out of Kansas and into Missouri! 7:00AM-CDT: No reports yet, but Amy should be on the road to TS#27 at Maize, KS. During this leg Amy will pass the 1/2 way mark! She is know entering an area that has seen some flooding. RAAM organizers could be changing the route, we'll see what the day brings. Conditions in the area this morning: 64F, mostly cloudy, and WSW winds at 5mph. 10:43PM-CDT: Amy has made it to Pratt, KS and TS#26. Conditions at the time: 69F, mostly cloudy with some rain in the area, and NE winds at 5mph. I'm not certain, but I think this is were Amy will take another sleep break. 8:24PM-CDT: Amy has reached TS#25 in Greensburg, KS. Conditions at the time: 71F, mostly cloudy, wind north at 7mph. Next is TS#26 in Pratt, KS. Unfortunately, they'll probably miss the free chow at Starvin Marvin's BBQ. 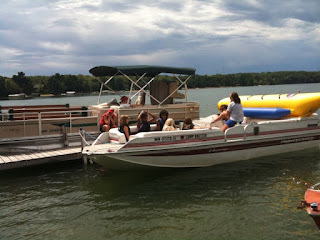 2:00PM-CDT: A few more photo's courtesy of Amy's crew. Report is she is about an hour away from TS#24 at Montezuma, KS. It is 72F and she working against a cross/head wind out of the NE. 12:00PM-CDT: Another photo update! Thanks Sally! 10:26AM-CDT: Amy has now reached TS#23 in Ulysses, KS. She is over 1300 miles into the race! Conditions in Ulysses at the time was 62F with scattered clouds and NNW winds at 16mph. 6:04AM-CDT: Amy has now passed through TS#22 in Walsh, CO. This is the last Time Station in Colorado! Amy is now heading to the plains of Kansas! Conditions in Walsh were 46F and calm. 12:03AM-CDT: Amy has passed through TS#21 in Kim, CO. The temp was 55F with a north wind at 13mph. 7:00PM-CDT: Photo update.. this just in. Thanks to crew member Sally! 4:30PM-CDT: Here's a profile of the next leg TS#20 to TS#21 in Kim, CO 71 miles away (click to enlarge). 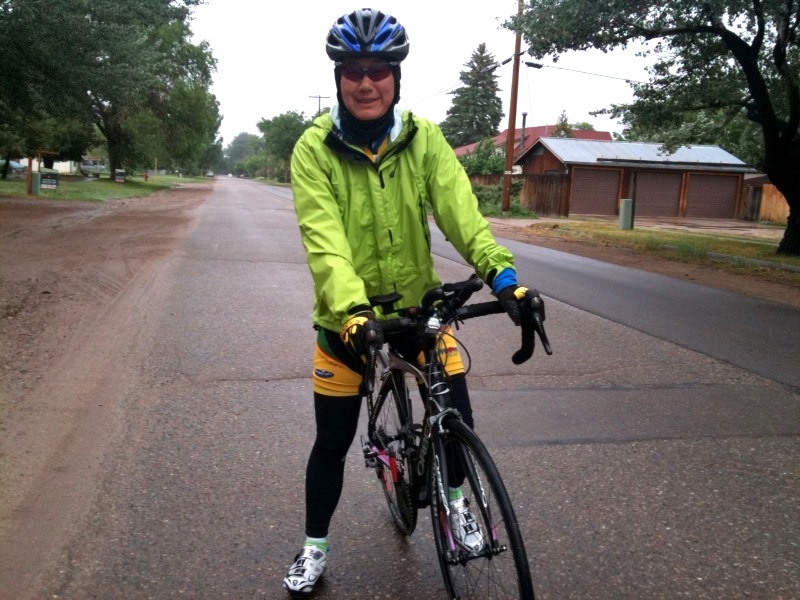 4:00PM-CDT: Amy has reached TS#20 in Trinidad, CO. Reports are the last big climb she tackled was very difficult. Amy's crew wanted all of you to know what helped Amy manage the climb. Using a megaphone they read out loud ALL of the comments from this blog and the text messages that have been coming in. That is what sparked Amy to keep going!! So please, keep the well wishes and comments coming! Amy is hearing them all. And Thank You! Conditions in Trinidad when Amy pulled in were 69F with partly cloudy skies and variable winds at 7mph. The goal for the balance of the day is to reach Kansas. 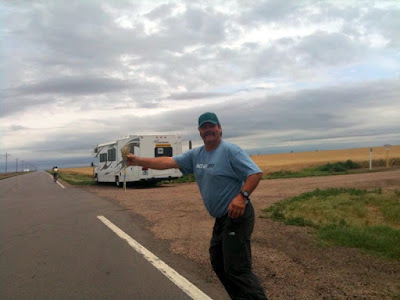 But first there's still 150miles of Colorado left! 12:00-CDT: A special THANK YOU! 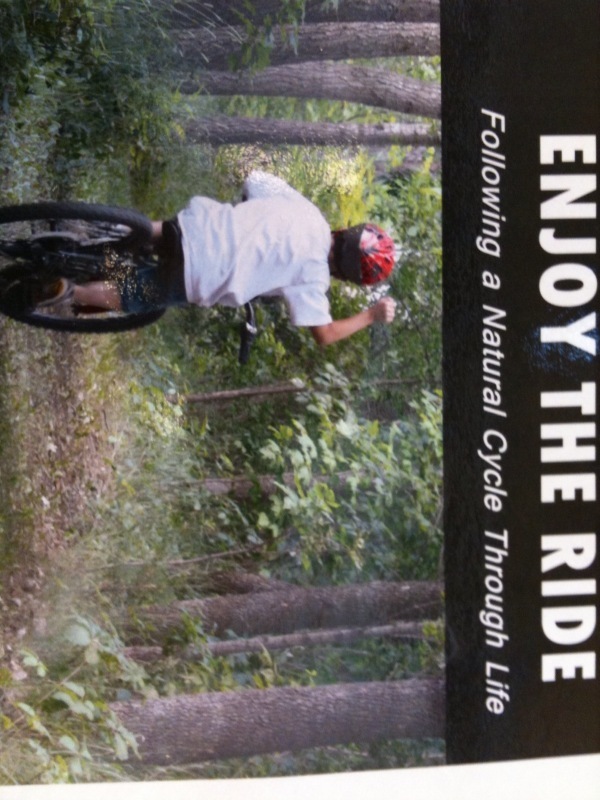 goes out to TSH sponsor Trailhead Cycling, in Champlin, MN. After discovering that really only one of Amy's saddles was comfortable during ultra-long efforts her crew made a call to Trailhead. 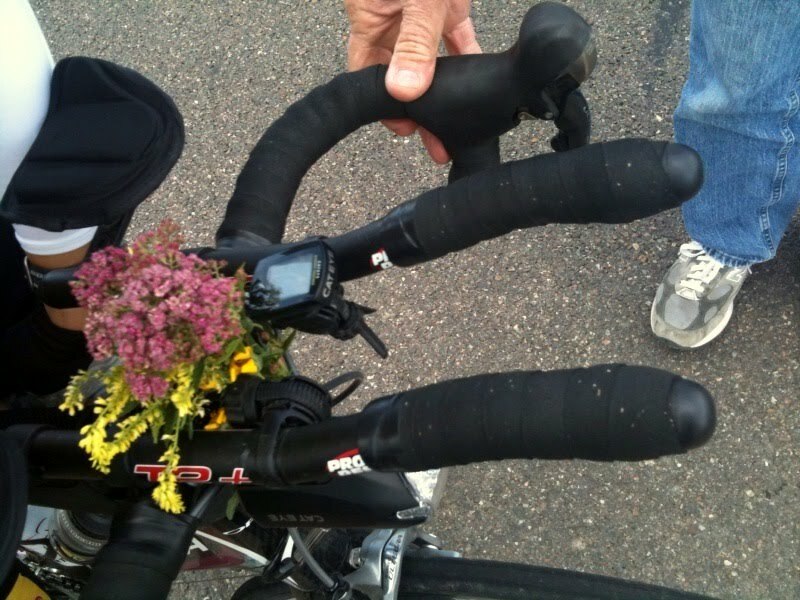 Pam & Larry (TH owner's) promptly located the type of saddle Amy needed and shipped it overnight. Amy's crew will pick up the saddle's when they arrive at the next Time Station in Trinidad, CO.
TSH says THANK YOU Trailhead Cycling for your support!! 8:30AM-CDT: Amy is back on the road! Here is a photo update that just arrived. 4:03AM-CDT: Amy has now reached TS#19 in La Veta, CO. It was 54F with some rain and winds out of the NNW at 10mph. Amy was scheduled for a sleep break in La Veta before contiuing on to TS#20 in Trinidad, CO.
11:30PM-CDT: In case anyone is wondering, Amy is still on the road and headed for TS#19 at La Veta, CO. In spite of a hard day, it is RAAM the competitors push on!. Tentatively the next sleep break for Amy is scheduled in La Veta, CO. (TS#19). Her race plan is continuously in flux so you never know,. Thus far, she has proved she has been up for it.. That is amazing. GO AMY! 7:45PM-CDT: Amy has reached Time Station #18 at Alamosa, CO!! And bigger yet she has surpassed the 1000 miles mark! That is incredible!! Conditions in Alamosa were 69F with south winds at 17mph. I'm not sure if that is accurate because Amy's crew reported earlier that they were up against a stiff headwind. It has been a tough 24 hours for Amy and she has been forced to prove her mettle. Let me be the first to say that I am totally in AWE! What Amy has done so far is completely beyond comprehension! 2:50PM-CDT: Amy has cleared Wolf Creek Pass! That is BIG! She has now reached TS#17 at South Fork, CO. Reports are the cresting the pass was very emotional, there were tears and cheers, clapping and picture taking! The conditions as she road into South Fork were 68F with Sw winds at 10mph. As you can tell from the picture, conditions on the pass as she went over were a bit cooler. 11:30AM-CDT: Just checked in with the crew that is currently in the RV. It sounds like they are dealing with a few challenges today. It was cold overnight with temps going down to 39F. They are having a problem with one of the tires on the van that is following Amy. Also, Amy is starting to struggle with saddle issues and a sore bottom. No amount of training can prepare you for how your body will react to so many hours on the bike. 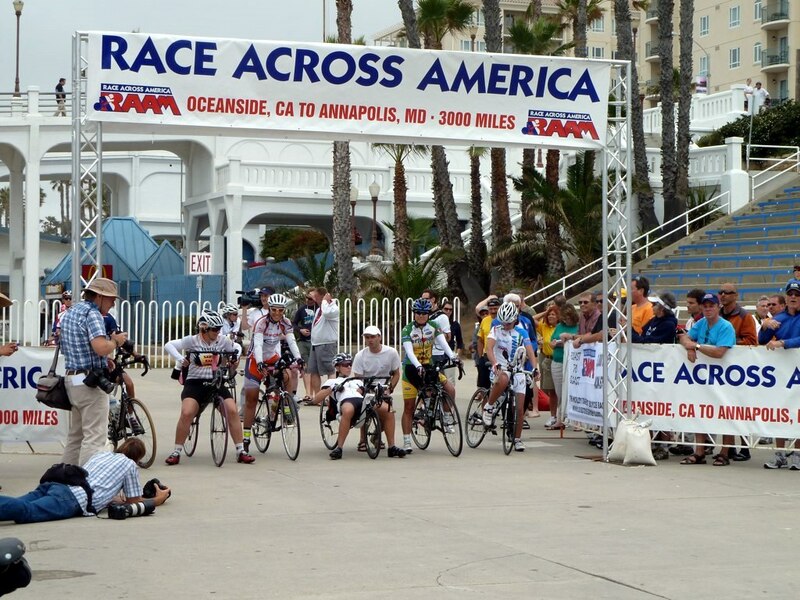 These are the type of challenges that RAAM throws at you that are so hard to prepare for. Amy does have a top-notch crew and they will do their best to resolve these obstacles. 8:33AM-CDT: Amy has passed through TS#16 at Pagosa Springs, CO. Temps were 48F and calm when she got there. Reports have not come in yet but I think the Amy & crew encountered cold temps and rain overnight. Crewing for Amy overnight was Michelle, Sally, and David. Wolf Creek Pass now lies ahead of Amy as she goes from Pagosa Springs to South Fork, CO. The forecast in the area is not in the riders favor either. South Fork is forecasting scattered rain & isolated thunderstorms, temps in the 50F's, and 10-20mph SE winds with gusts to 45mph. It is going to be a tough leg for Amy. Send positive thoughts her way! Hang in there Amy! 11:50-CDT: Amy is on the move once again! 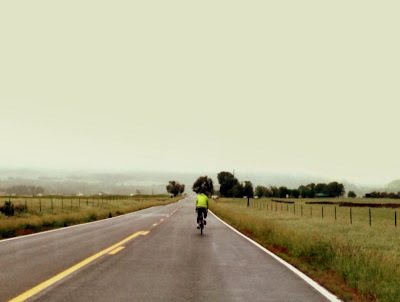 With rain still in the area and 59F and north winds at 7mph and and her Team Strong Heart crew are on their way to the next time station (#16) in Pagosa Springs, CO. That is followed by TS#17 in South Fork, CO. The leg between Pagosa Springs and South Fork features Wolf Creek Pass. Wolf Creek Pass is the highest point of the race at 10,857 feet. The climb to the pass includes 8 miles at a 7% grade. That is going to be a bugger and it comes after the racers already have 947 miles on their legs!! 7:38PM-CDT: Amy has reached Time Station #15 in Durango, CO AND a first big milestone! Durango was the first time cut-off point for the women soloists. 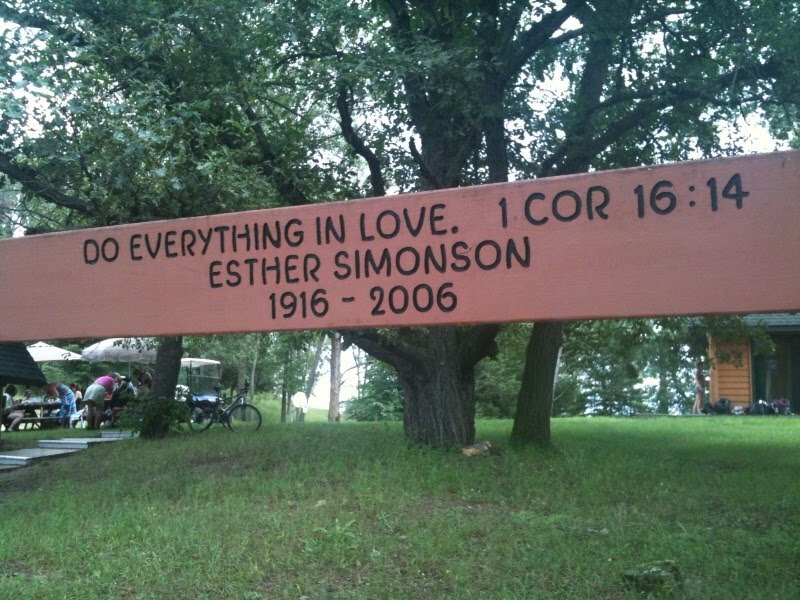 So did she make it?? Heck yeah!! only with about 10 hours to spare!! Way to go Amy! we are all very proud of you!! Michelle checked in shortly before Amy's arrival in Durango. She said they had a hotel with a real bed and shower, balloons, and Thai food waiting for Amy when she got there. A mini-celebration before she goes back out on the road! As of TS#15 in Durango Amy has been racing for 3 days, 5 hours and has ridden 858 miles! There is a little weather action going on in the area too. 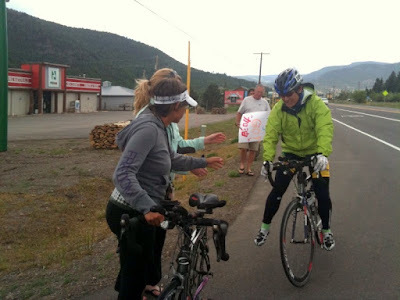 As Amy pulled into Durango the temp was 63F, mostly cloudy with isolated rain & thunderstorms, and winds WNW at 12mph. 3:44PM-CDT: Cortez, CO TS#14, another Time Station down! 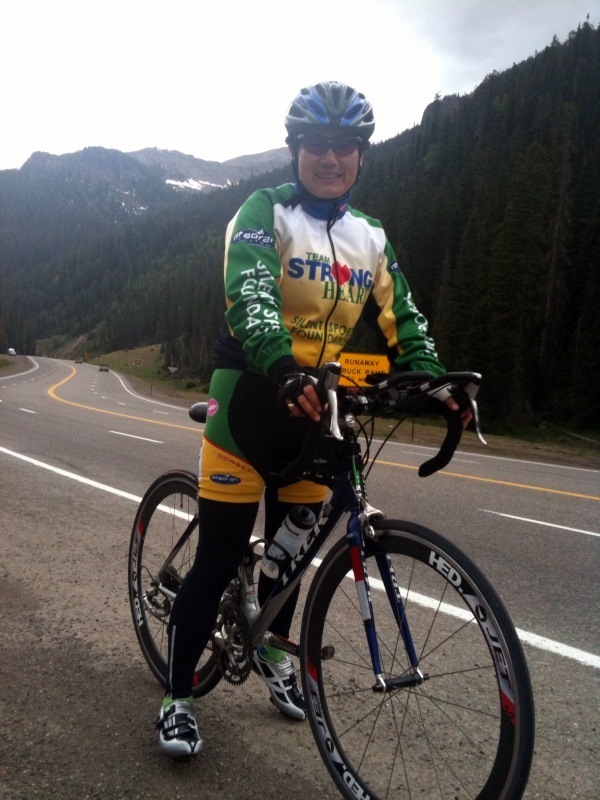 Amy is on her way to Durango and another well deserved rest stop. 10:15AM-CDT: Amy has just passed through Time Station #13 in Montezuma Creek, Utah. The temp at the time was 56F, mostly cloudy, with a NNE wind at 7mph. The next Time Station is #14 in Cortez, Colorado another 50 miles down the road. Crewing for Amy right now is Sandy, Emerald, & Doug. They'll be with Amy until Durango, CO TS#15. 7:12AM-CDT: Word just came in via text-message that Amy is on the road! Colorado bound! 3:55AM-CDT: Amy is into Utah now and has reached TS#12 in Mexican Hat, UT. It is 59F with a east wind at 5mph. 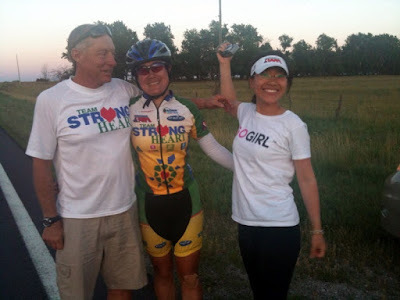 Amy has now raced a total of 725 since the race started last Tuesday at 2PM-CDT. That means she has ridden 725 miles in 86 hours! It sounds like Amy and crew have stopped in Mexican Hat for a break before continuing on. They are looking to reach Colorado. As Amy races on into the daylight hours she will see cooler temps in the 60F's and winds that continue to be mostly out of the west. 12:59AM-CDT: Time Station #11 at Kayenta, AZ has been reach, TS#11 is the last time station in Arizona! Amy will be in Utah soon. The weather in Kayenta as Amy rode through was 57F and calm. 11:00PM-CDT: Just got a text-message update from Amy's current road crew. They reported she is about 35 miles from Kayante, AZ (TS#11). They said she is flying riding along at about 17mph! 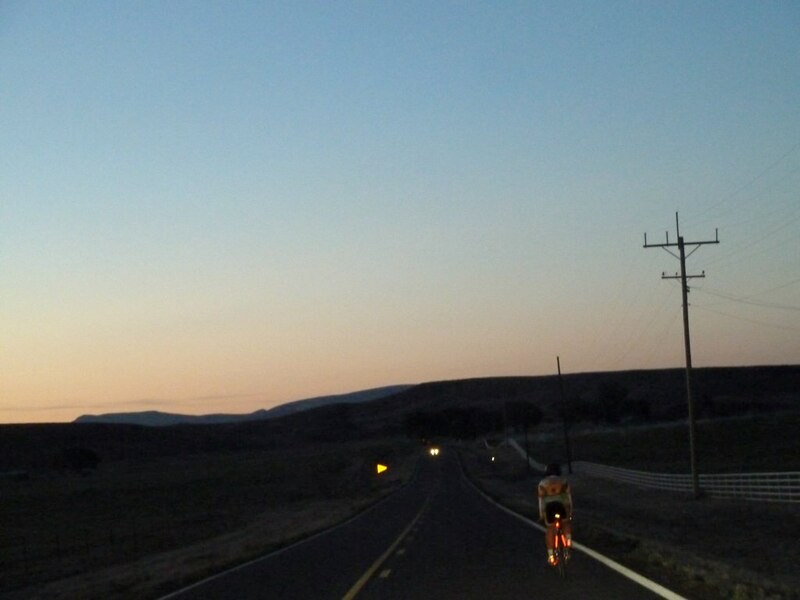 Amy will see temps down into the 50F's as she rides into Utah overnight. Winds continue to be from the SW at 10-15mph. Guests are reported up to 30mph. 8:36PM-CDT: Amy has passed through TS#10 at Tuba City, AZ. At the time the temp was 71F with WSW winds at 13mph. Less than 100 miles of Arizona left, then she crosses into Utah. 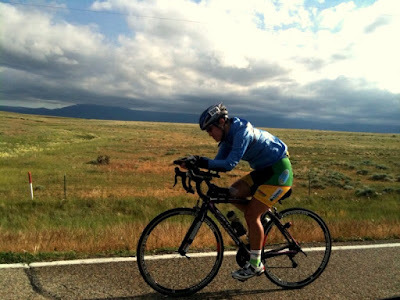 She will race through about 100 miles of Utah before crossing into Colorado. All the riders will be happy to leave Arizona. According to RAAM the section between Cottonwood, AZ (TS#8) to Flagstaff, AZ (TS#9) averages more than 128 feet of climbing per mile. They say it is the toughest section west of the Mississippi River! That's behind you Amy! GOOD WORK! Amy leaving Flagstaff for another shift on the bike. 12:18PM-CDT: Amy has reached Flagstaff, AZ TS#9!! Skies are clear, the temp is 64F, and the wind is out of the SW at 22mph. Report is that Amy is very tired. Her last effort lasted approximately 24 hours! She is now scheduled for a sleep rest. During that time she will eat a meal (pancakes! ), receive message therapy and fluids via IV if required (very likely), and SLEEP!!. Also, during this time her crew will analyse her current situation and formulate a plan for the next step. Amy has a very qualified support crew and she will be in the best care. 9:00AM-CDT: Amy's current support crew just checked in via text-message and reported that they had just passed through the city of Sedona, AZ. The leg from Sedona to TS#9 in Flagstaff is about 30 miles, it has a substantial amount of climbing with about 2500 feet of gain. This will be challenging for Amy as she has been up and riding for the past 9+ hours. 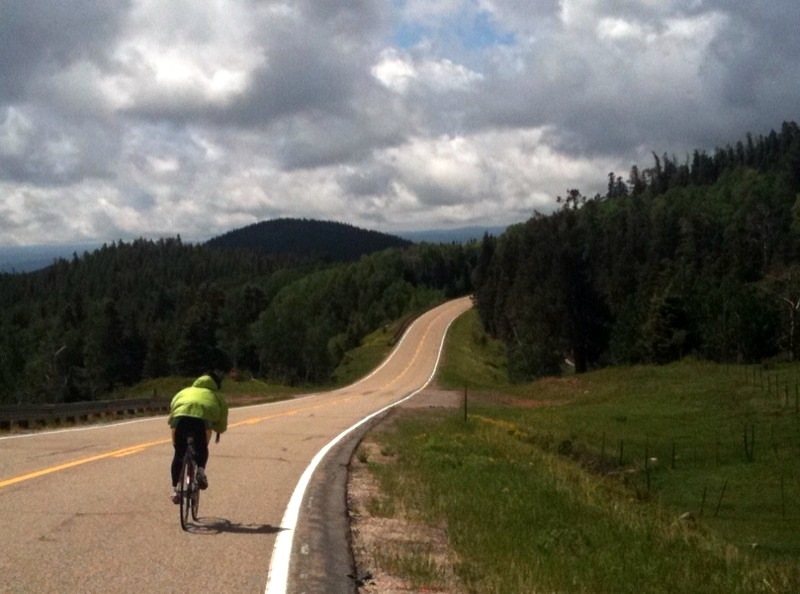 By the time she reaches Flagstaff she will have been on the bike for about 12 hours, ridden over 250 miles, and climbed over 8600 feet!! 6:35AM-CDT: TS#8 in Cottonwood, AZ has been reached. The temp was 67F with SSE winds at 6mph. Next up is the 53 mile trip to Flagstaff and TS#9. Amy is heading to another scheduled rest stop and she'll have earned when she gets there. 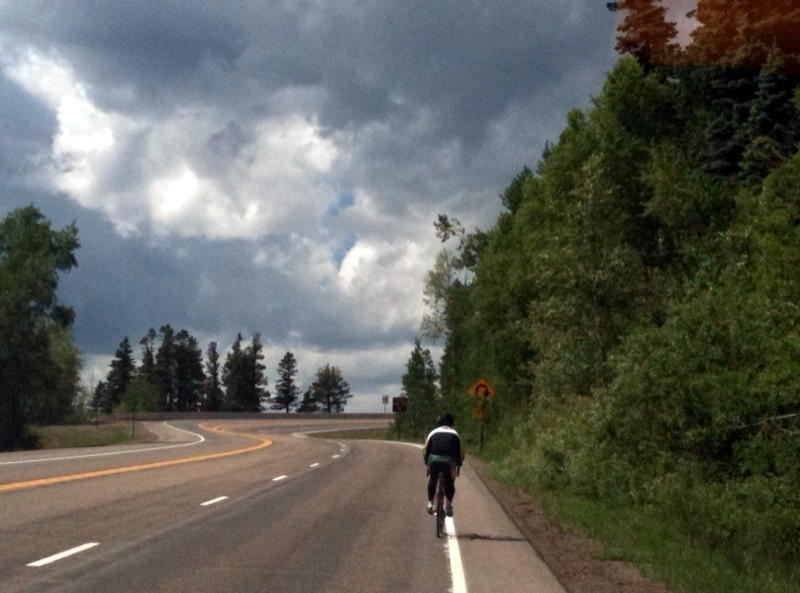 There is nearly 3500 feet of climbing to get to Flagstaff! The crew reports she is tired but hanging in there. GO AMY! Meanwhile, the lead male soloists, who started 24 hours after the women, have already passed TS#5 in Salome, AZ. Jure Robic, 4-time RAAM Champion is in the lead. 1:47AM-CDT: Amy passed through Time Station #7 in Prescott, AZ. 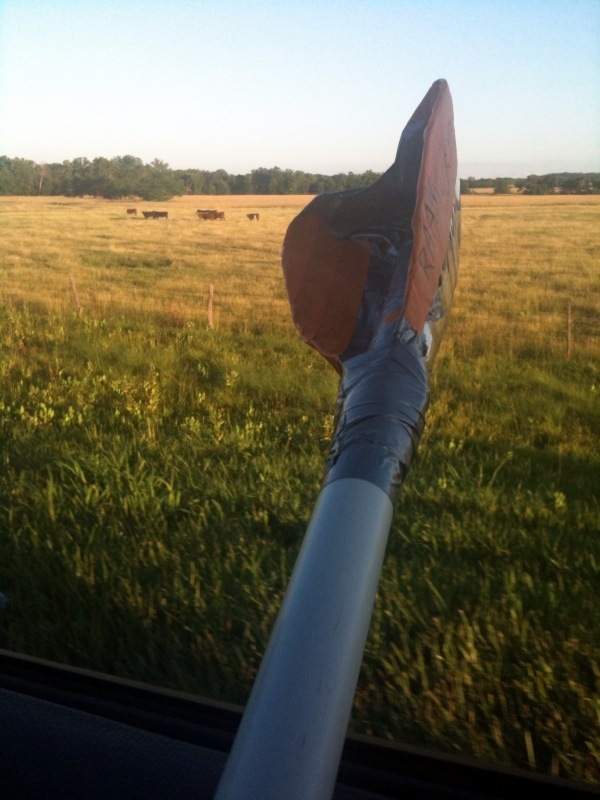 Conditions at the time was 70F with south winds at 6mph. Here's an article by East County Magazine out of the San Diego area. Click here! Crew Chief Update: Both of Amy Crew Chiefs, Michelle and Sandy reported in tonight. They said that Amy is feeling great (bottom is a little sore) and that they are actually ahead of their plan projections which allowed for a little more rest for Amy. 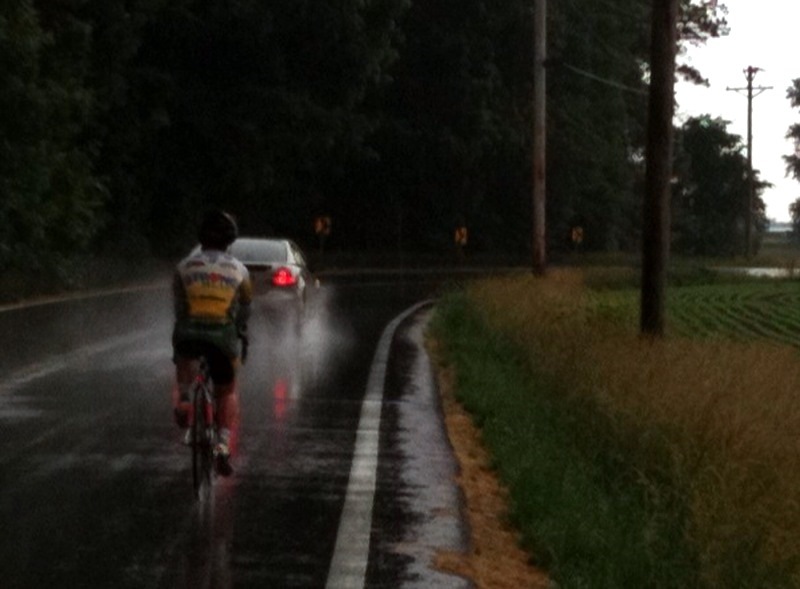 As of TS#6 in Congress, Amy has ridden 391 miles and is 30+ hours into the race. She has taken one scheduled sleep stop that lasted 4 1/2 hours! 8:20PM-CDT: Amy reached Congress, AZ and TS#6. Temp 82F, winds S 9mph. Michelle, one of Amy's two crew chiefs, reported that Amy was doing so well that they were going to take a short break in Congress just to set up for the next big climb (Yarnel grade) that happens just outside Congress. They were also going to switch crews. TS#7 in Cottonwood, AZ is next at 41 miles and TS#8 in Flagstaff, AZ is another 50 miles beyond that. 4:46PM-CDT: Amy passed through TS#5 in Salome, AZ. Temp 102F, winds South 10mph. 12:00PM-CDT: Just got word that after a scheduled rest Amy & crew are back on the road! Report is she is feeling GREAT! 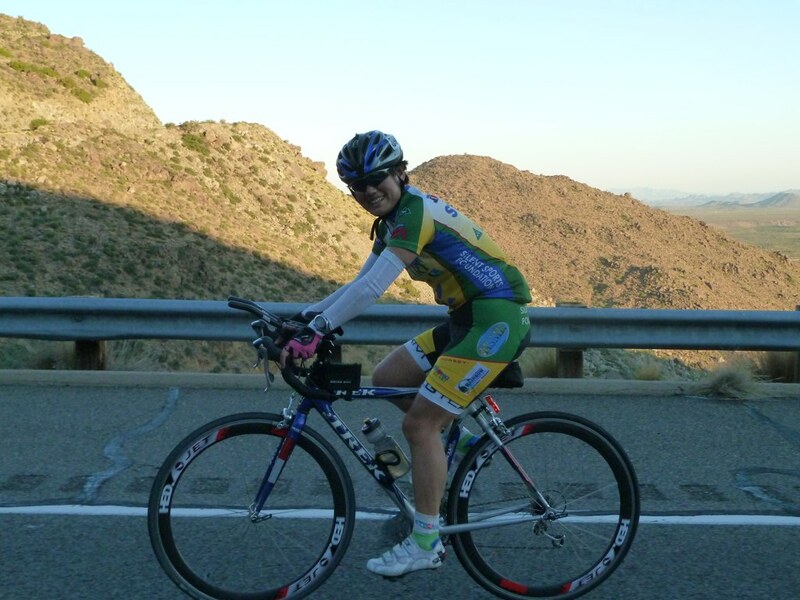 As stated earlier Amy will spend all of today riding in Arizona. She will see temps climbing towards 100F today. 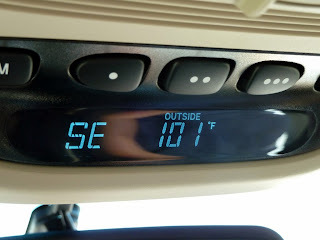 When she left Parker, AZ the temp was already 90F with SSE winds at 10mph. She is also faced with a day of climbing, over the next three time stations she will climb in excess of 5400 vertical feet!! Crew member Emerald Simmons reports on FB: "In Arizona! Amy went straight through the night stopping in Parker for a 4 hour rest." Amy reached TS#4 in Parker, AZ at about 7:20AM CDT. She has now raced over 280 miles ridding that distance in just over 17 hours!! Conditions in Parker this morning: 76F, clear, SSW winds at 10mph. Amy will be down for a rest now until about noon. When she starts ridding again she'll see temps up around 100F. Amy passed through TS#4 in Blythe, CA at about 4AM CDT this morning. As of TS#4 Amy has ridden 230+ miles and has been going steady for more than 14 hours! The temperature in Blythe was 77F with wind out of the south at 8mph. The forecast for today as the racers cross into Arizona will be warm with temps into the 90's and mostly south winds. I guess my time zone calculations were a little off, doh! Amy has just passed through TS#2 (10:53 CDT) at Brawley, CA . 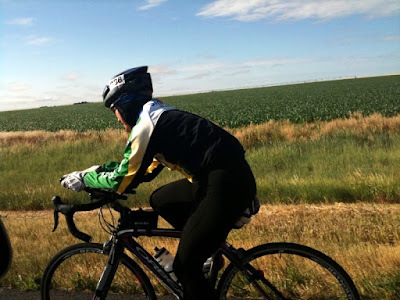 She has be riding for nearly 11 hours and has already covered 142 miles. Conditions in Brawley are 91F with a west wind at 20mph. The riders should like that wind! Next is TS#3 at Blythe, California... 89 miles down the road. At 5:55 (CST) Amy passed through Time Station #1 in Lake Henshaw, California. Weather conditions at the time was about 77F with a west wind at 10mph. She's getting a nice little push! The next Time Station is #2 in Brawley, CA in another 88 miles. She should reach Brawley sometime after midnight. Amy Xu - Team Strong Heart Underway at RAAM! 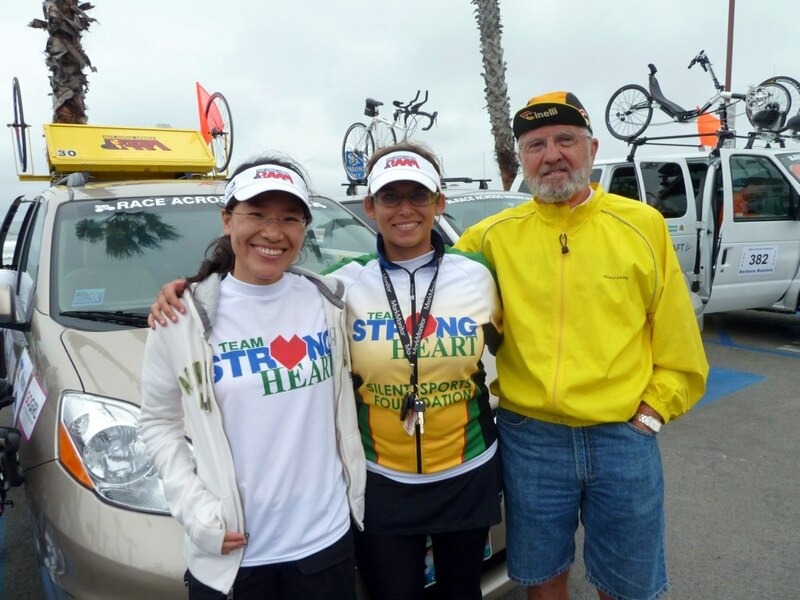 At 2PM (CST) Team Strong Heart's Amy Xu started in the 2010 RAAM Solo Women's Division. Along the 3005 mile non-stop race course are 55 time stations. 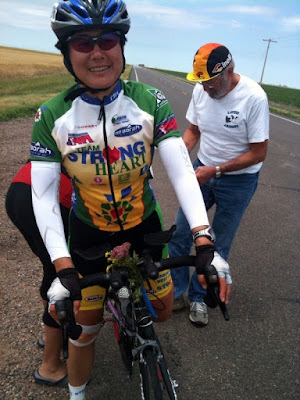 Between reports from her TSH crew and tracking the results on the RAAM website we will update her current status and progress here at teamstrongheart.com with as real-time information as possible. Check back often! On behave of Amy and Team Strong Heart, I would like to thank all of you for supporting Amy and Team Strong Heart's mission for Camp Odayin. Next up for Amy is Time Station #1 at Lake Henshaw, California. The distance to Lake Henshaw is about 54 miles with an elevation gain in excess of 2750 feet. The RAAM course gets serious right away! The temperature at race time in Oceanside was 68F with SW winds at 6mph. 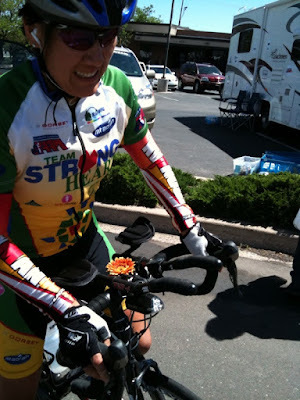 Amy Starts the 2010 RAAM Today! Today is the day! 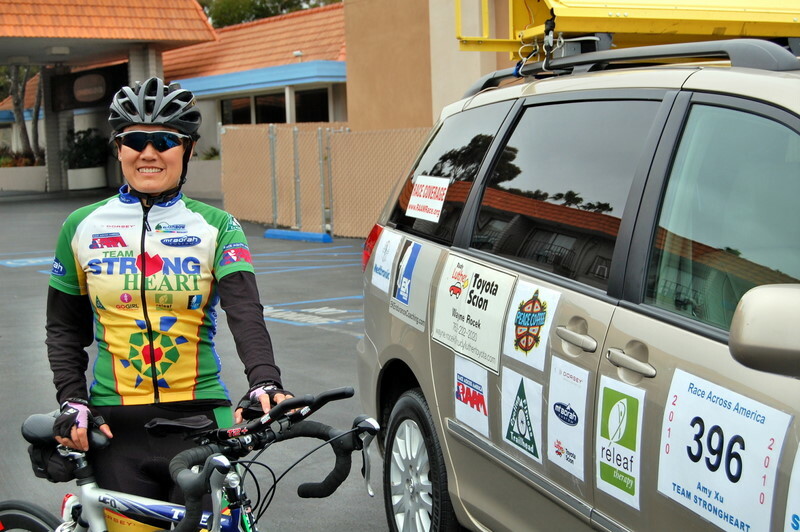 At 12PM Pacific time (2PM CDT) Amy Xu will start in the 2010 Race Across America Solo Division. Amy is one of only 5 women racing in the solo division this year. Best wishes to Amy and crew for a safe and successful race. Go AMY! Be sure to check back for updates as the race gets underway! By 9:20pm, the backyard post Tour de Mission hill party was "terminated"; it was not that we were too loud for the neighbors, or music got bored -- a care call came in that I need to sleep!!! 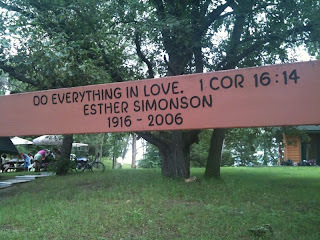 before taking off today (June 2) for the sleepless RAAM -- I truly forgot...we were laughing so hard, we were so loud, we were like a bunch of camping kids talking under the skys about how our paths crossed on bikes -- That is the essence of Tour de Mission. While enjoying your ride, find The Bike Writers' -- "ENJOY THE RIDE -- Following a Natural Cycle Through Life" -- a life reflection of a cyclist, his friends, and families -- to be published soon.